Are Buyers Finding Real Estate in Greater Cincinnati’s Townships? 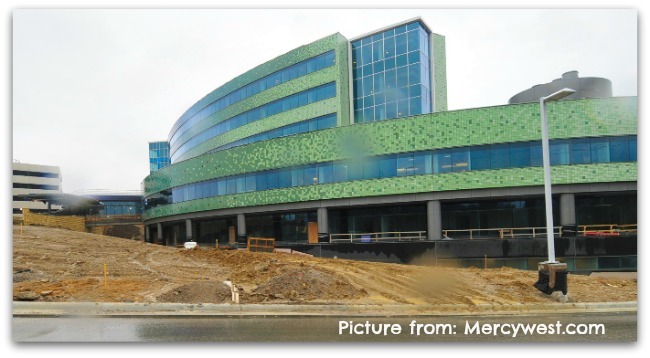 Keeping up with demand-the Mercy Health System invests in Green Township. If the information below is not detailed enough or if you are considering buying or selling your home or condo- call for detailed market analysis. Or make it easy and just Subscribe. Sellers can learn from local Cincinnati health care providers as they update and relocate to meet market demand. While no seller can simply pick up and move their property – updating to meet market demand makes sense in today’s real estate market. The real estate activity in some of Cincinnati’s larger townships continues to reflect the general ups and downs we’re seeing through out the area. The median list prices continue to bounce around for no particular reason. The data pulled from the Multiple Listing Service of Greater Cincinnati shows that potential buyers have 9320 single family homes and 1421 condos to buy- about the same number of listings from the last township report. July is a big month for vacations and typically showings slow down a bit however 308 open houses have already been scheduled for next weekend- so buyers will be out and about.